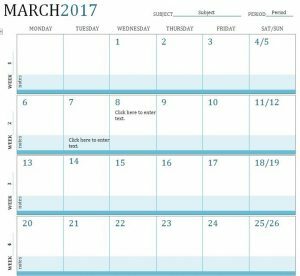 From the start of the semester to the end, the free Lesson Plan Template (from Microsoft) is here to help both teachers and students plan their learning schedule for maximum efficiency. 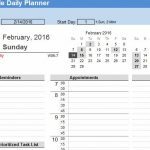 This free document will give you the familiarity of a simple calendar that you can print and enter items on for free. All you need to do is download the free template and follow the list of instructions below. You can plan everything from tests to exams so you always know what’s ahead. 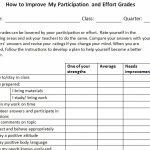 This is the most effective strategy for students to get amazing grades and for teachers to ensure their students are always getting the best education for their time. To download the free template, you can simply follow the link at the bottom of this page. When you have the template downloaded, you can open the sheet to begin editing. Start at the top of the page and enter the subject and period date at the top of the page. 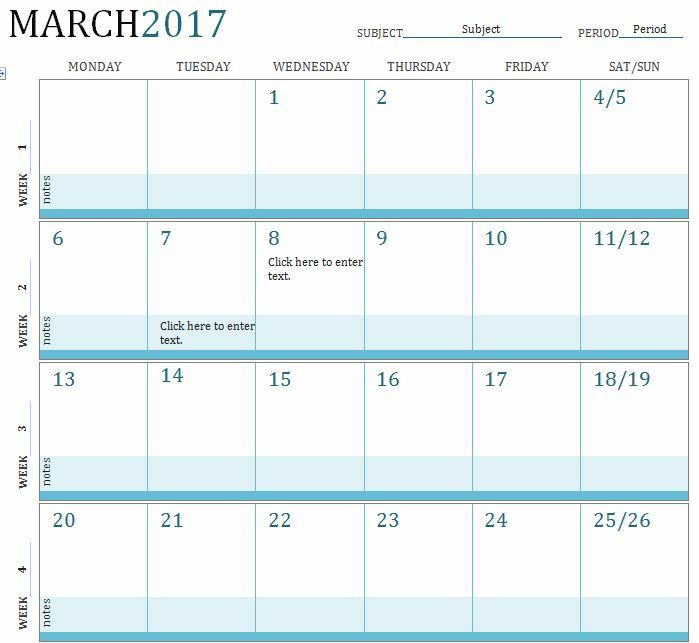 Next, the rest of the template is a simple calendar. Your school weeks are listed to the right of the column and the days of the week are listed at the center. Each day is ready and waiting for you to enter new content. For example, if you have an exam coming up soon, you can click inside the date of the exam and enter the information you need to know. Subsequently, you can enter study times for the days leading up to that exam as well. When you finish entering all your items, you can scroll back to the top of the page and click “File” Then “Print” to keep a physical copy of the sheet at all times. When the next month starts, just make a new template and start the process over again!